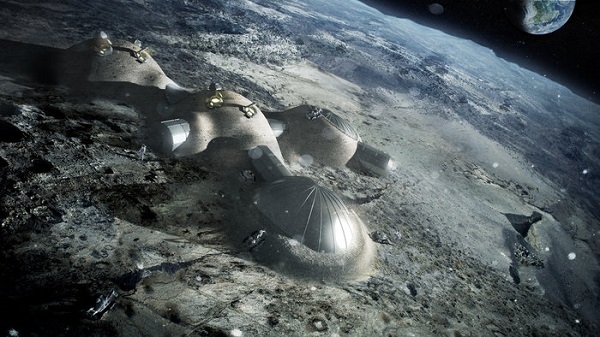 COLOGNE, Germany (ESA PR) — Bricks have been 3D printed out of simulated moondust using concentrated sunlight – proving in principle that future lunar colonists could one day use the same approach to build settlements on the Moon. “This was done on a 3D printer table, to bake successive 0.1 mm layers of moondust at 1000°C. We can complete a 20 x 10 x 3 cm brick for building in around five hours. Why do they use such elaborate mirrors, instead of just metal foil? Isn’t that much more useful than this brittle “brick”? To form pig iron you also have to sort and sift out the ferrous particles. This just sinter bulk regolith. 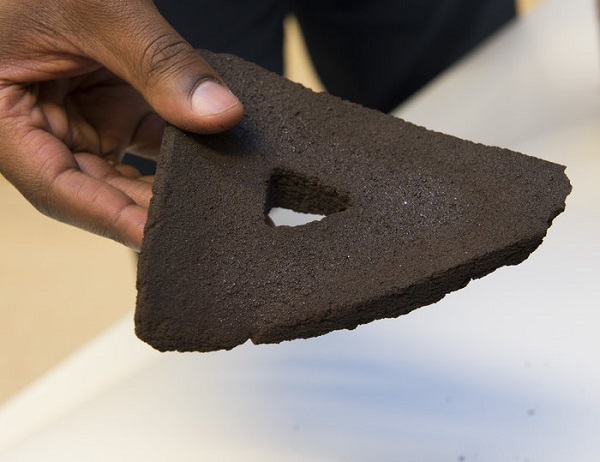 Most likely use won’t be for making bricks but for fusing a hard(er) crust over regolith buried pressure structures and for paving paths and landing pads. So, a building of 10x10x3 meters with bricks on all sides would require 16,000 bricks. 5 hrs for a half-height brick = 10 hrs for a full height brick. So 160,000 hrs to bake all of the bricks. At an average of 12 hrs of sunlight per Earth day it would take 36.5 years to bake that many bricks for one room. Yeah, and that would be a good start. 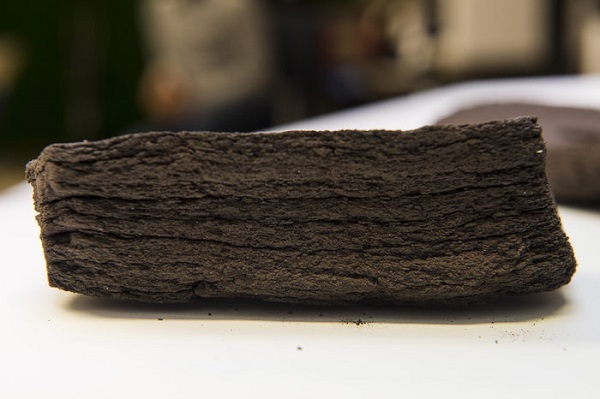 These “3D printed” bricks don’t look at all more solid than a sintered ingot of iron. We should think of the Moon as a metal lump to be liberated of its oxygen by the free Solar energy. No no no! You’re not allowed to use numbers when judging ESA priorities, that’s unfair. And please ignore the big hole in the middle of the brick in the picture. I thought that additive manufacturing meant total control of the material at a micrometer scale. Still, these bricks look like cow dung. But if you have nine pregnant women working on it, they can make all of the bricks (and a baby!) in only 1 month. 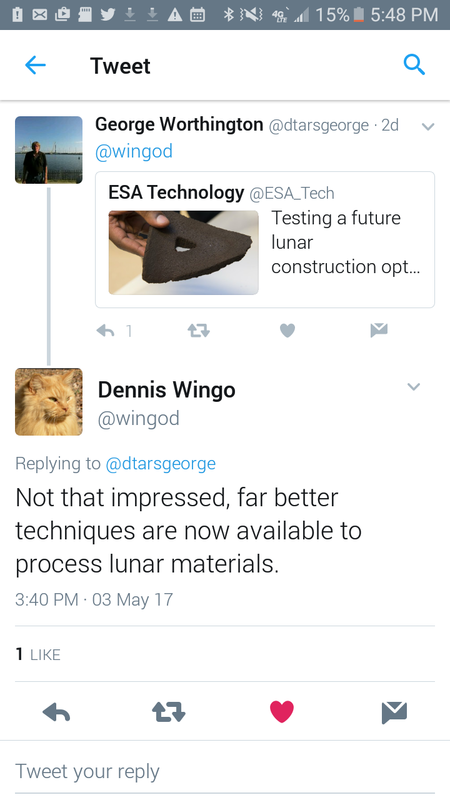 I wonder how their technology compares to the work PISCES has been doing on making bricks from lunar regoltih. At the New World 2016 Conference the researchers from PISCES showed a video on how they used the bricks to make a simulated lunar landing/launch pad. I’ll bet this is where robotic colonization comes into play. Where you’d make up for the slow production of bricks with multiple (mobile) robots working for years before the humans come. Even if we start going back to the Moon now, there will still be places we want to go that will have to wait perhaps on the order of 100 years before being visited/settled by humans. We’ve already seen a 50 year gap in Lunar exploration and development. As we reach out and begin to develop new worlds we’ll probably have to start thinking in such long terms. I have a coffee percolator that can make a similar brick in 10 minutes. Equivalent strength of gypsum, great a brick as strong as drywall. 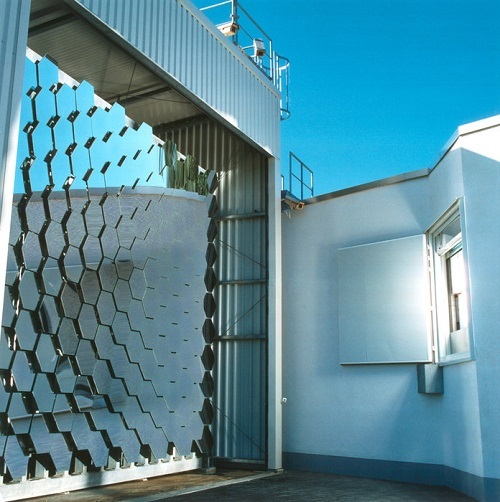 Direct solar energy? Nah!! Use powerful electric currents from silicon solar panels of well over 10, maybe closer to 50 Amps. At high voltage, high amperage, electric current passing through high-resistance lunar dust will cause it to experience terrific incandescent heating that could quickly fuse the grains together. How about a 100 bricks per hour? With Webb People are moving away from the idea of monolithic reflecting surfaces. That’s a mistake if you ask me. It’s why I want rocket growth. Keep everything as simple as possible–don’t unfold anything a dozen different ways–just make the damn rocket bigger. Unfolding structures in space works really well. The Jupiter probe Galileo’s main antenna is the worst failure, and that was decades ago. Unfolding looks really risky, but that’s because they are visual. That stuff can be very well tested on the ground. But I do think that larger launchers are coming, SpaceX and Blue Origin are seriously developing them. For economic reasons. Larger launchers should be cheaper per ton. And wider fairings means larger or cheaper and safer telescope mirrors. I think we could see formation flying interferometric telescopes soon, that individually do not need to be very big to get a great resolution.